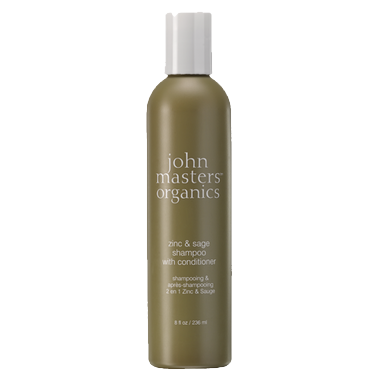 The natural compounds in this John Masters Zinc and Sage Shampoo with Conditioner help fight flakes and itchy scalp. I love the smell, my hair is very dry and this doesnt make it worse which is great! I also dont condition since this conditions my hair well enough and detangles my hair. recommended! My hair was so dry n my scalp was so itchy when winter came. After I use this hair wash, it improves my dry scalp so much. Less flakes n no itchiness. Excellent for winter season. I use it with lavender and avocado conditioner. My FAVE smell out of all of them, smells like vanilla and it is so moisturizing I don't even need conditioner everyday with it. This is so fair the best hair product I have ever used. I use it with the Neroli Detangler. Fair enough. It cleans thoroughly my hair and it smells good. My hair feels firmer and less elasticity. I think it's good for people with greasy hair.